Are you worried about the normal development of your baby’s head and neck? Did your baby’s Pediatrician mention the term, ‘torticollis’, ‘plagiocephaly’, or ‘brachycephaly’ when discussing your baby’s condition? Is your baby demonstrating limited head & neck movement or favoring? Getting the right treatment is crucial as many babies today live the “container lifestyle” which can impact the development of gross and fine motor milestones and sensory experiences. Our Head Neck and Torticollis program is perfect for babies and toddlers who can’t look over both shoulders fully and equally, or for those who favor turning their head one way. This program is also perfect for a child who favors tilting their head one way, who does not lift his or her head up in the tummy time position, who is developing a flat spot or bump on their head, &/or for babies who are not reaching important milestones such as walking, sitting or crawling. Improving head and neck muscle balance. Improving and progressing strength and flexibility of head & neck muscles. Improving neck stability and neck range of motion. See a faster recovery period. Benefits are realized consistently with the combined efforts of Pediatric Occupational Therapy and a daily home exercise program. Not seeing your baby alternate head position when lying on their back. If your baby has tightness on one side of their neck, it will be difficult for your baby to freely turn his/her head. Your baby may develop a flat spot on the back of the head, due to the constant and frequent pressure of the bed on the same spot on the head. Be wary of seeing your baby favor looking to one side, or tilting their head to one side. You will know they favor a side when they are only comfortable being held a certain way or fed in a certain position. Be wary of not seeing your baby take to tummy time, for this could lead to developmental delay. If your baby has tightness in the neck, it will be uncomfortable to raise the head. If your baby shows immediate discomfort in the tummy time position and does not try to lift and hold up their head, your baby may not develop the expected and age- appropriate neck, shoulder and back strength. On average, a two month old baby is able to raise his/her head up while in the tummy time position for a few seconds and do so at least 3-5 times in one session. Congenital muscular torticollis and misshapen head conditions such as plagiocephaly, brachycephaly and dolichocephaly, can get worse over time. The earlier you start the correct pediatric Occupational Therapy Program and a home program of pediatric therapist approved stretches, strengthening, and positioning, the better the prognosis. From experience, we have found that toddlers that start Pediatric Therapy later (closer to 12 mos of age) have a smaller chance of full correction. Same with head shape: the skull retains whatever form it is in at around 12 months of age… flat or round. So the sooner we take steps to improve head shape, the better. Act now so you can discover if your baby has head and neck challenges that can cause him/her to be behind with age appropriate gross motor skills. By acting now, you will learn what to do and what not to do at home, which can make a significant difference in your baby’s head and neck development. By acting now, you will have access to safe and effective exercises, which will significantly progress your baby toward age-appropriate milestones. 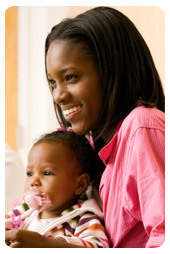 You will also have more time to address any challenges we discover, thus improving your baby’s overall success rate. Putting this off may cause your baby to fall further behind, or develop alternate motor strategies that do not utilize symmetry and stability. These alternate strategies can prevent your baby from progressing to the next phase of motor milestones. Putting this off may also result in abnormal development of neck muscles resulting in torticollis, plagiocephaly, brachycephaly and associated developmental delays. Your baby’s Licensed Occupational Therapist will work with you to put together a program that incorporates both Pediatric Occupational Therapy and a customized home exercise program. If you are successful at home with the daily program, you may only need to bring your baby in every few weeks. If you are not as able or successful at home, you may need to bring your baby in more frequently. You especially do not want to put this off if your baby falls into any of the below categories for being at risk: first born, awkward or abnormal fetal positioning months prior to birth, multiple fetuses: twins/ triplets, difficult delivery, premature delivery, babies with larger heads or larger than average body size, and other external factors: challenged vision or hearing, or babies that have had head, neck or shoulder injuries or surgeries, etc. Don’t put it off any longer. The longer you wait the more serious your baby’s challenges may become. Don’t let your baby’s limitations get to the point of no return. Call and schedule an appointment today.